A rich, deep shine from nature’s finest ingredients! Pinnacle Signature Series II is an exceptional value. One 8 oz. jar of Pinnacle Signature Series II contains at least 25 glossy applications. Signature Series II contains no cleaners and can be layered multiple times to increase depth and brilliance. Pinnacle Signature Series II is an upgrade, a reformulation of our original Signature Series Wax. This gave our chemist an opportunity to reassess the wax and incorporate the newest blending techniques and ingredients. 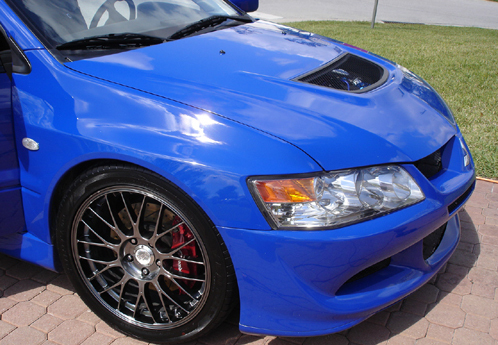 The result is a superior car wax that meets all VOC standards and looks better than ever. During research and development, he found that the “jetting factor” of the wax could be improved with the addition of a new liquid crystal polymer. This polymer was originally designed to form resins for use in electronic connectors. For our purposes, the polymer is left in a semi-liquid state that both softens the carnauba and enhances the wax’s reflective nature. The result is a wetter, glossier finish that brings out the best in any color paint finish. 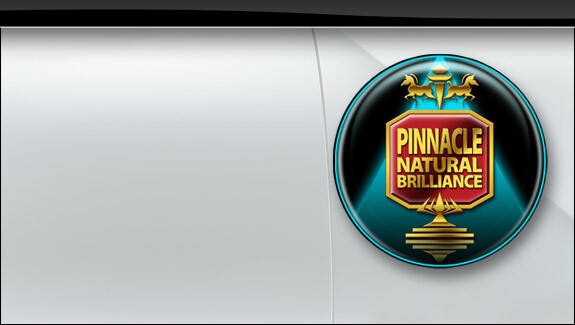 Just like Souverän™, the prime ingredient in Pinnacle Signature Series II is Brazilian Ivory Carnauba. Carnauba wax is world-renown for its crystal clarity, its protective properties and its uncanny shimmer. No other natural wax is as sought after as No. 1 yellow carnauba wax, deemed the purest and highest quality by Brazil’s government inspectors. Once our chemist purifies the wax again, it is blended with Pinnacle’s proprietary ingredients to make Pinnacle Signature Series II. In addition to carnauba, Signature Series II contains a complex blend of polymers and oils that wet the paint to give it head-turning gloss and reflection! As always, Pinnacle Signature Series II has a buttery texture and inviting aroma that make it a pleasure to apply. It goes on effortlessly and buffs to a crystal clear shine. The wax will not dry to a white chalk and will not stain trim or molding. Apply it any time of day, even in hot, humid conditions. Signature Series II will not streak or cloud. Each jar of Pinnacle Signature Series II is hand poured to maintain a high level of quality and consistency. A poly foam applicator is included. 1. Wash vehicle using Pinnacle Bodywork Shampoo. Towel dry with a microfiber towel, such as the Cobra Supreme Guzzler . 2. If applying Signature Series II for the first time, use Pinnacle Paintwork Cleansing Lotion to reduce the appearance of imperfections and to remove wax build-up. 1. 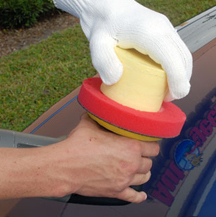 Apply Signature Series II by hand using a Polyfoam Wax Applicator . Apply a thin, even coat to one panel at a time. 2. Signature Series II does not dry to a haze. 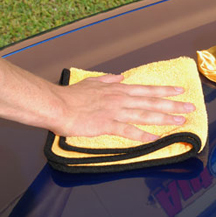 Once you’ve covered a panel, you can immediately buff using a clean, soft microfiber towel. 1. Put a plastic sandwich bag or a microfiber glove over your hand and work the wax out of the jar. Rub the wax onto a 6.5 inch gray finishing pad. 2. Turn the Porter Cable on between 3 and 4. Apply the wax in a thin, even coat over one panel at a time. There is no need to apply pressure. 3. To remove wax by machine, put a lambswool pad on your Porter Cable 7424XP and cover it with a microfiber bonnet. Flip the bonnet inside out when it becomes soiled. 4. Maintain the crisp, clear reflection with regular applications of Pinnacle Crystal Mist Detail Spray. It's a great product to work with and has a great shine. This is the first carnauba paste wax I have used. I applied it a day after I used the Klasse combo wax and sealant. The Pinnacle went on easily and smoothly, and wiped off neatly. 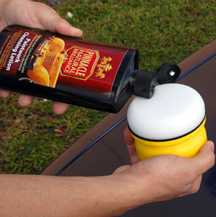 It's a nice product to use on top of the others that serve more to protect the car's finish. Good shine. Excellent Product. Goes on very easily and comes off without applying any pressure. Leaves an aazing finish, especially to a Black Paint. Would highly recommend. Have been using this for about 5yrs now and makes everything shine deeply after the sealant by Klasse has been applied. Dark blues with flake look awesome. Last a less in Florida for length of time but longer than any over the counter products. Worth it! This Carnauba wax was very easy to use, went on well great coverage, came off easy after letting it haze over slightly. Shine was up there with some of the other high end carnauba waxes I have used. Has nice reflectivity with that wet look I like from a carnauba wax. Not sure on the longevity as I keep my car in the garage and tend to wax monthly but the few times I have been out in the rain the beading was excellent and the grime and water spots came right off with a waterless wash.
ProsEasy on, easy off. Doesn?t stain black plastic, smells great. ConsTakes quite a while in the humidity to haze slightly over, despite what they recommend if you wipe off immediately they shine is much less.